You may remember Thumbs our life saving cat. Thumbs towards the end of 2013 was the very cat who helped save the life of a cat that required a blood transfusion at Isabelle Vets. 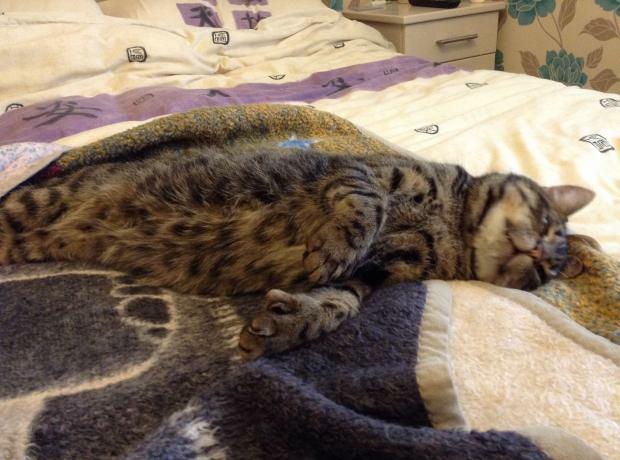 We are over joyed to report that Thumbs is now in a new and loving home and without doubt is very settled and happy. Thumbs has a fantastic new family and now has two older human brothers who are very fond of him.